Do ya like big MUTTS? 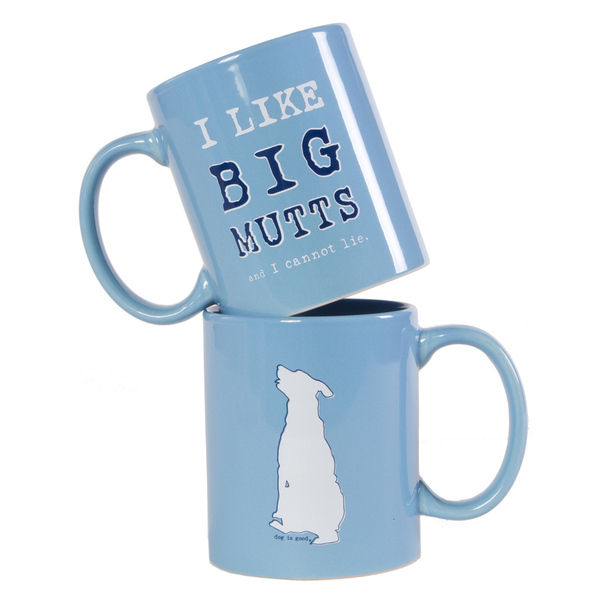 We sell this awesome mug at the store!Large breed dogs have different nutritional requirements than our smaller friends do—especially when they are puppies. This excellent article, “Why ‘Overgrowing’ Your Large Breed Puppy is Dangerous” by Dr. Karen Becker explains how your large breed puppy needs to be fed a different diet than other dogs do. Adoptable dogs and cats will be at the store this Friday, April 20th from 11-3pm. Stop in to meet these great animals in need of homes from Lakeland Animal Shelter! Lakeland has their big annual fundraising Second Chances Dinner coming up on May 4th. This is a really fun event for a great cause and we hope to see you there. Next Thursday, April 26th, Dr. Deanna Witte with Witte’s Natural Veterinary Care will be at the store to do chiropractic adjustments for your dog. This is also an excellent opportunity to make an appointment for an holistic consultation with Dr. Witte to discuss holistic options for your pet (nutrition, supplements, essential oils, etc…). Appointments are for 20 minutes and include a consultation and adjustment. Call the store for rates and to reserve your spot: 262-363-3338. Rebecca Moravec, Animal Communicator.Animal Communicator Rebecca Moravec will be at the store Wednesday, April 25th.